EHPlabs Acetyl L-Carnitine is of highest quality Acetyl L-Carnitine on the market. The fine crystalline powder and the potency of a concentrated serving size is testament to this. EHPlabs wanted to ensure that the Acetyl L-Carnitine pharmaceutical quality was maintained, hence, this product has not been artificially flavoured or coloured. Acetyl L-Carnitine has a naturally occurring sour lemon taste and EHPLabs recommends that it should be taken as a "stack" product, and mixed into a serving of OxyShred, BUZZ or Beyond BCAA. Take 1 to 2 scoops with 10oz (295ml) of water, fruit juice or other flavoured beverage of choice. 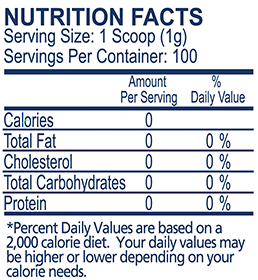 Do not exceed 5 scoops in one day. WARNING: Acetyl L-Carnitine has a naturally occurring sour lemon taste, and will have a strong sour taste when mixed with water. Best Carnitine you can buy as it's 100 Serves for $39.00, can't get much better than that.. Plus it's unflavoured so you can mix it into your pre-workout ect.